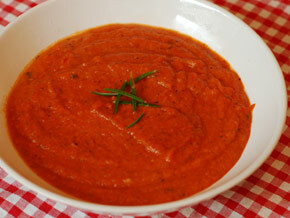 A sweet and fresh tomato soup recipe with a real thick substance to it. Ideal for vegetarian low GI dieters. Chop the onion and fresh tomatoes into small pieces. 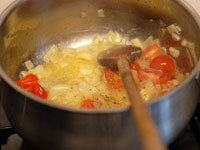 Finely slice the garlic and fry in a little olive oil together with the onion, tomatoes and basil. 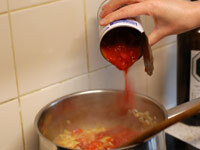 When the onion has softened a little add the canned tomatoes, salt and pepper. Cover the pan with a lid and leave to simmer on a low heat for 30 minutes. Finally to make the soup smooth blend in a blender or food processor.